2 Remove all query criteria from all fields. 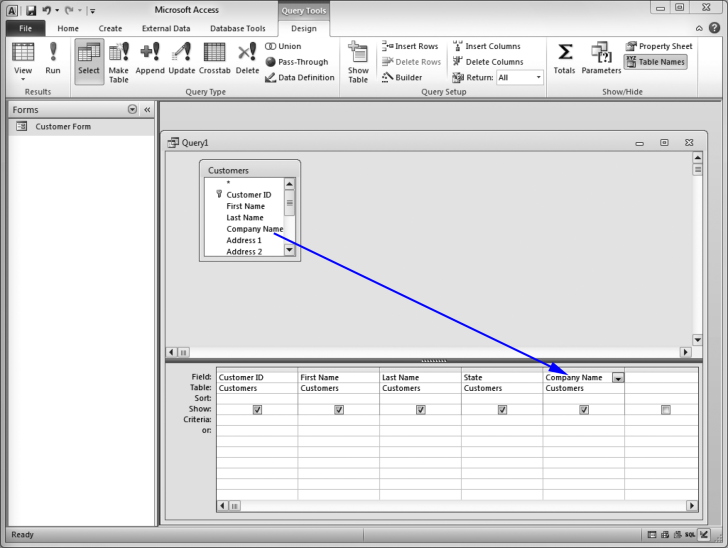 Drag it from the field list in the Customers table and drop it in the blank field to the right of the State field. 4 In the Company Name field, click in the Criteria row.